Can My Ex-Husband Stop Child Support If He Has the Kids While I'm Deployed? If you were in the military at the time of your divorce, it's possible that your original custody and support orders address what happens in the event that you are deployed. If not, you typically have to return to court for new custody and support orders, and your ex-spouse must continue to pay child support until a new order is in place. If a court awarded temporary custody to your ex-spouse during your deployment, the court probably halted his child support payments, too, since he is paying for the day-to-day care of the child. It is very unlikely that he would have full temporary custody and still have to pay child support to you. When custody needs change because you are being deployed, either you or your ex-spouse can petition the court to modify your existing child support order temporarily to accommodate your deployment. Typically, you can request a modification by filing a motion or petition with the court that issued your last child support order. You -- the deployed parent -- could end up paying child support to your ex in this situation because you no longer have physical custody and are not paying your child’s daily expenses. The Servicemembers Civil Relief Act is a federal law providing many protections for military members, including an automatic 90-day stay, or postponement, of civil court proceedings -- including child support hearings -- when the military member cannot be present for court because of military duty. Thus, if your ex-spouse files for a child support modification and you cannot attend a child support or other family law hearing because you are deployed, the court must postpone the hearing at your request for at least 90 days, and the court can extend the stay even longer if it chooses. 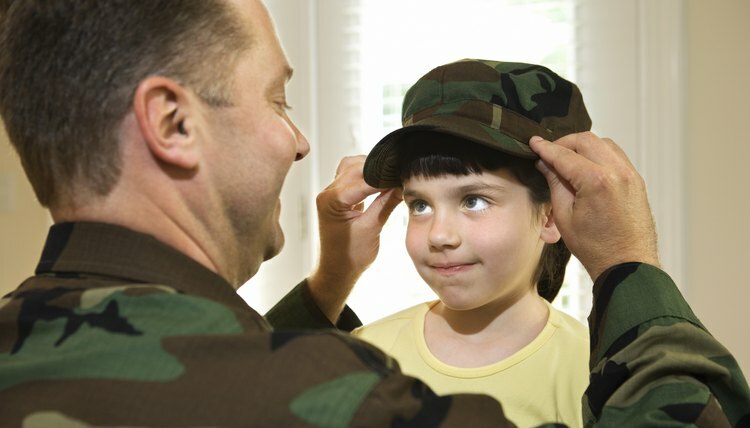 Additionally, some states have laws specifically addressing child support changes when a military member is deployed. If you simply give your children to your ex-spouse -- without a court order -- to care for while you are deployed, your existing child support orders remain in effect. If your ex-spouse stops paying child support on his own without court permission, he is technically in arrears and could face penalties for nonpayment. If his payments are made by automatic income withholding from his wages, the withholding will continue until a court order says otherwise. Your odds of regaining terminated parental rights in California depend a great deal on why you lost them. California won't terminate your rights because your ex wants you out of your child's life, or because you've agreed to give them up in exchange for not paying child support. You generally can't surrender your rights voluntarily, except to pave the way for your child's adoption, such as if his other parent has married or remarried and her spouse wants to adopt him. However, if you’ve abused or neglected your child, California will terminate your rights if the court feels harm may come to him if he remains with you. Can Someone Have Sole Custody if the Other Parent Abandoned?